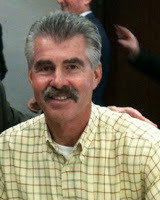 Bill Buckner turns 68 years old today. If there was any justice in the world, he should be able to calmly reflect today on a tremendous, 22-year MLB career with the Dodgers, Cubs, Red Sox, Royals and Angels. He put together a stellar .289 career batting average and drove in over 1,200 runs. He won a National League batting title in 1980 (.324), and led the Senior Circuit in doubles twice. He was an All-Star in 1981 and finished in the Top Ten of MVP voting twice. Famously, he was also the Dodger left-fielder who frantically climbed the fence to try and rob Hank Aaron of his record-setting 715th HR. That's the kind of player Buckner was—gritty, take-no-prisoners. And yet, some people will only remember him for one play. All we have to say is: The game was already tied! Happy birthday, Billy Buck!